Wanted to extend capabilities and functionality of Microsoft Dynamics CRM system to streamline business processes and enhance sales and marketing. Kelly Roofing has found that PowerGlobalSearch and PowerGrid add-ons have improved efficiency, reduced costs, and boosted customer service. Kelly Roofing has been able to extend the capabilities of their Microsoft Dynamics CRM solution through PowerObjects’ suite of PowerPack add-ons. Kelly Roofing wanted to extend and enhance the capabilities and functionality of their Microsoft Dynamics CRM system and was seeking a solution that would be both affordable and easy to use. 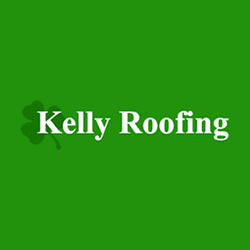 Kelly Roofing uses CRM for lead nurturing, quotes, and managing their entire project cycles. The increased workload on their system meant it needed more capabilities. Kelly Roofing decided to utilize PowerObjects’ suite of PowerPack add-ons for Microsoft Dynamics CRM to achieve this goal. The fact that a roofer can use CRM to improve their operations has a lot of impact. PowerObjects has done an excellent job of creating individualized add-ons that have a clear focus on the core capabilities that we and other customers want the most. When it comes to streamlining and automating business processes, Kelly Roofing has found that the PowerGlobalSearch and PowerGrid add-ons have helped improve efficiency, reduce costs, and boost customer service within their business. “We use PowerGlobalSearch very frequently and have found that it’s a big time saver when we are taking a customer call,” says Ken Kelly, President of Kelly Roofing. PowerGlobalSearch allows Kelly Roofing to search for a customer’s name or address in all CRM entities and all fields, pulling up any information on that customer – no matter where they are in Kelly Roofing’s system. For sales and marketing automation, Kelly Roofing has been using the capabilities of PowerSurvey, PowerScore, and PowerWebForm. By using PowerSurvey, Kelly Roofing is able to send out surveys not only for customer feedback but also to get more information from possible opportunities. “If we have an opportunity that is open in our system, we send an automated survey to judge whether they want to be contacted, need a new estimate, are using a different company, or want to work with us,” Kelly says. PowerSurvey generates automated responses in Kelly Roofing’s CRM, converts opportunity statuses based on those responses, and alerts staff of any changes. “PowerSurvey helps clean up our opportunity list automatically and this has been really helpful. It cuts out a lot of maintenance and work for us. Often this results in us winning opportunities—even if we are more expensive—because our system is simple and saves everyone time,” Kelly adds. Another add-on Kelly Roofing uses for sales and marketing is PowerScore, which assigns a number of value to how active a customer is on their website. “PowerScore is great for determining which leads are most active. We can rate them on how active they are and can get them the resources they are most interested in,” says Kelly. Kelly Roofing also uses PowerWebForm for customer service, in addition to lead generation. “We have customers submit a resource of warranty authorization if there was an issue with a job. This helps avoid any potential conflicts and resolves issues quickly,” says Kelly.  “Another way we use PowerWebForm is for anyone who requires an immediate fix. They can fill out a fully automated form to put them through the booking process right away and can skip the step of having an estimator visit first,” Kelly adds. Kelly Roofing has been able to extend the capabilities of their Microsoft Dynamics CRM solution through PowerObjects’ suite of PowerPack add-ons. The organization streamlined and automated business processes and enhanced their sales and marketing with these easy to use add-ons. “We are a small family business with 65 employees in an industry that is not perceived to be especially tech savvy. The fact that a roofer can use CRM to improve their operations has a lot of impact. PowerObjects has done an excellent job of creating individualized add-ons that have a clear focus on the core capabilities that we and other customers want the most,” says Kelly. Kelly Roofing was able to choose á la carte solutions that made sense for their business. With each PowerPack ranging from $1-$2 per user per month, the add-ons provide Kelly Roofing with exactly the functionality they were looking for at a very affordable price.  “What sets the PowerPack add-ons apart is how PowerObjects has built pure simplicity around pricing, implementation, use, and set up. As a business owner I can quickly add any of this functionality to my CRM and get them up and running in no time without needing to know any programming,” says Kelly. “This is an absolutely affordable solution. Our PowerSuccess subscription is a predictable monthly fee and the PowerPack add-ons are very cheap. There is a lot of opportunity here for the roofing industry to improve by adopting a Dynamics CRM solution,” Kelly says.